This attached barn conversion sits close to Blackmill in Southern Wales and can sleep two people in one bedroom. Caner Bach Lodge is a converted barn situated one mile from Blackmill in Southern Wales. It provides one bedroom which boasts a double bed and an en-suite, it can sleep two people. Inside, the property also boasts an open-plan living area which includes a kitchen, a dining area and a sitting area. To the outside there is ample off-road parking and shared lawns. 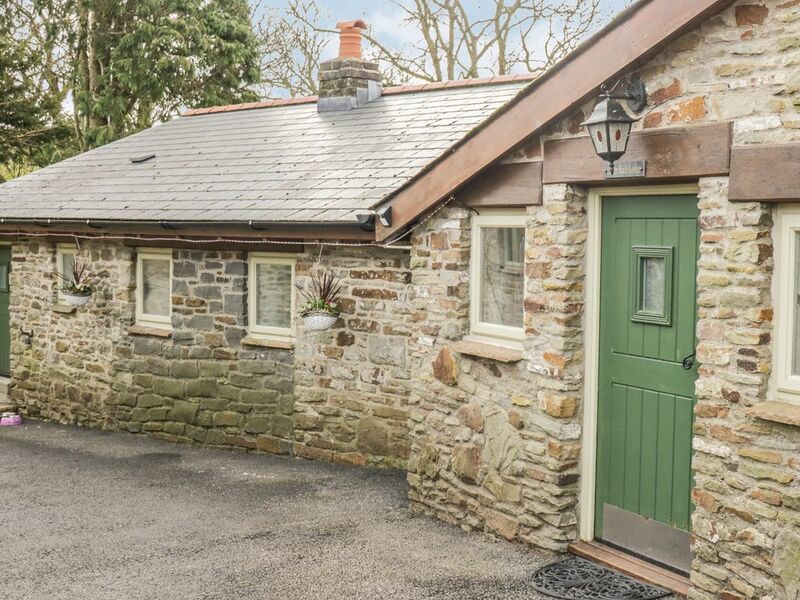 Caner Bach Lodge is a cosy little cottage in a fine location for exploring the lovely countryside, coastline, towns and attractions of Southern Wales. Amenities: Electric heating. Electric oven and hob, microwave, fridge/freezer, washer/dryer, TV with FreeSat, DVD, WiFi, selection of books, games and DVDs. Fuel and power inc. in rent. Bed linen and towels inc. in rent. Highchair and travel cot available on request. Ample off-road parking. Lawned garden. One well-behaved dog welcome. Sorry, no smoking. Shop and pub 1 mile. Note: sofa bed suitable for children. Town: The village of Blackmill sits in the borough of Bridgend. It is a small and friendly village with a pub serving food, a pub with a Nepalese restaurant, a shop and a café. The town of Bridgend is close by and offers a range of amenities. A day at the beach is close by in the seaside town of Porthcawl, while the Welsh capital, Cardiff is also within driving distance. All ground floor. One double bedroom with en-suite shower, basin and WC. Open-plan living area with kitchen, dining area with double sofa bed and sitting area. Electric heating. Electric oven and hob, microwave, fridge/freezer, washer/dryer, TV with FreeSat, DVD, WiFi, selection of books, games and DVDs. Fuel and power inc. in rent. Bed linen and towels inc. in rent. Highchair and travel cot available on request. Ample off-road parking. Lawned garden. One well-behaved dog welcome. Sorry, no smoking. Shop and pub 1 mile. Note: sofa bed suitable for children.